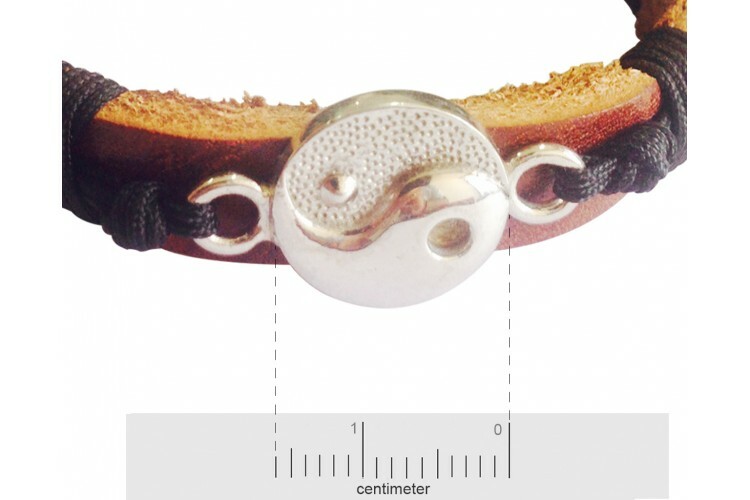 Give your personality some sturdy looks with our Yin Yang silver bracelets. It is well crafted and specially made for the tough men. 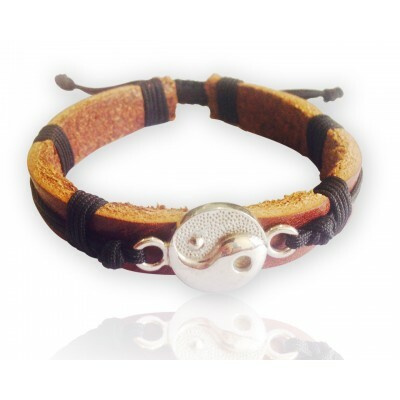 These leather bracelets for men are available easily at Jewelslane. Buy them online and maintain your casual looks with the latest stylish designs for your tough wrists. They are ready to fit your each and every outfit. Be more fashionable with our designer sleek leather bands. They are smooth in design and simple to wear, the shining tone of silver and leather are crafted unitedly to look more stylish and trendsetting for your handsome looks. The meaning of wearing a Yin Yang jewellery is related to the Feng Shui. It reveals your strong beliefs in this harmonious culture, where happiness is said to be achieved by balancing opposite forces together at same time. 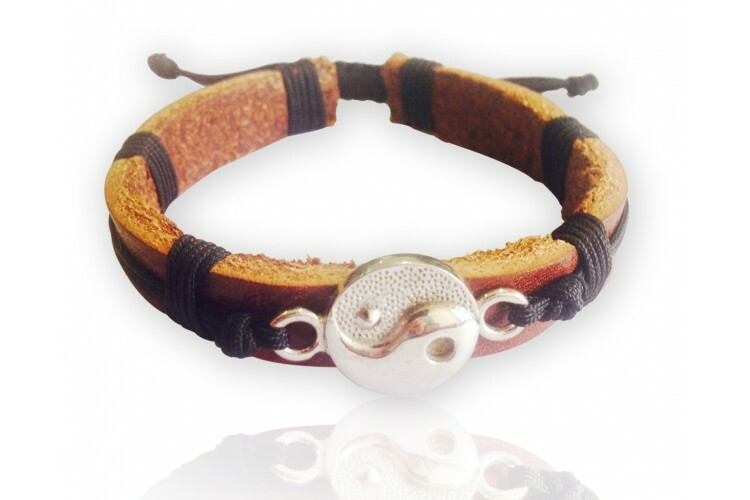 Buy the leather bracelets for men today and make your looks more dynamic and attractive. 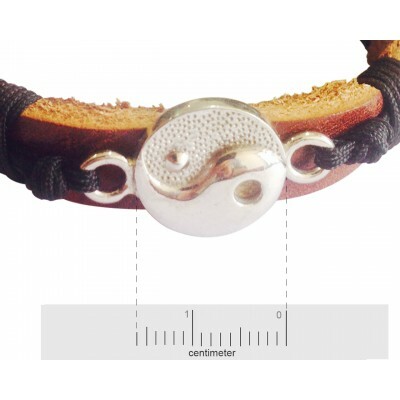 This Yin Yang silver men bracelet is made in black colour leather with cotton cord wrapping around the centres. The leather strap reveals a more strong and effective glaze which stands out at your wrists and give a manly look. At Jewelslane, we advise you to maintain your leather jewellery with extra care and avoid water. It should also be protected from dust particles to keep it long lasting so that you can enjoy wearing it for a long time. These leather bracelets for men are good for the purpose of gifts for your male friends and family members. Care Do not wet your Leather Bracelet.